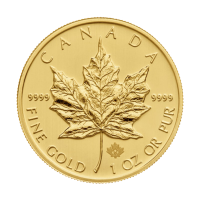 وجه العملة تمثال للملكة اليزابيث الثانية وعبارة "Elizabeth II 20 Dollars 2018"
ظهر العملة Maple Leaf and the words "Canada 9999 Fine Gold 1/2 oz Or Pur 9999"
تمثال للملكة اليزابيث الثانية وعبارة "Elizabeth II 20 Dollars 2018"
1/2oz 2018 Canadian Maple Leaf Gold Coin Buy your 1/2 oz 2018 Canadian Maple Leaf gold coin at our store today so that you can enjoy the best price online. 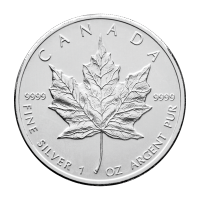 The Royal Canadian mint has been issuing their Maple Leaf coins since 1979 with astonishing success; they’ve sold in excess of 20 million Troy ounces since then! 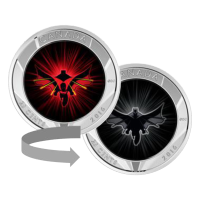 You will be blown away by the reverse design on the 2018 coin: that timeless Canadian maple leaf has been laser etched with miraculous precision and appears on a field of equally precise radial lines. 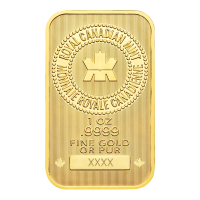 The reverse also offers the ‘Canada’ legend, along with the weight and the coin’s .9999 gold purity. 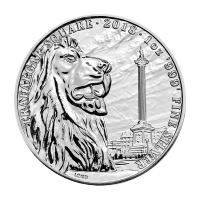 The coin’s obverse boasts a simplistic relief of the queen, along with her name, ‘Elizabeth II,’ the year of release and the coin’s $20 denomination. 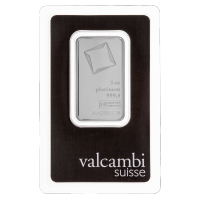 The obverse field also consists of the light refracting radial lines which help set this coin apart as one of the beautiful coins ever minted. 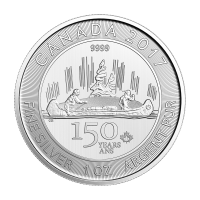 The laser technology employed by the Canadian Royal Mint not only brings you a level of detail not seen heretofore, it also serves as an authenticity seal that’s impossible to duplicate. 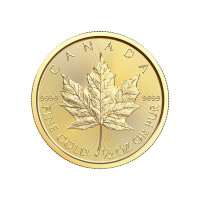 Join the scores of satisfied collectors who’ve fortified their holdings with these magnificent coins and order your 1/2 oz 2018 Canadian Maple Leaf gold coin today.